Are you a bloke whose barnet needs barbering? 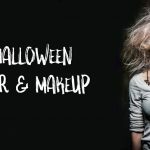 Are your locks looking listless? Is your beard begging for a restyle? “YES” you say? Then, READ ON! 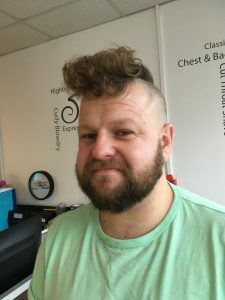 In this short barbers blog, we’re going to take a quick look at 3 separate areas – for longer hair, THE QUIFF and the MacDonalds Hair (yep, you read it right); then SHORT HAIR options trending this year; and finally BEARDS. For those of you who aren’t familiar, we’d like to introduce the LOOSE QUIFF. Yes, we know, this one has been around since Elvis’ day, but variations on this versatile creation, particularly by adding a fade (thank you Peaky Blinders! ), mean it has regained it’s momentum in many barbers shops this year, and looks set to continue as the go-to style for gents’ hair in 2018. One style, sooo many options. So, before anyone goes ploughing in with the cutting, make sure you and your barber give consideration to what will suit you best – not just in terms of face shape, but we suggest you think about lifestyle, styling time and styling ability, as some quiffs are easier to maintain than others, and, let’s face it, and no disrespect, but some guys can barely use a comb, let alone style up a quiff! So, below, we’ve tried to lay out our 4 favourite quiff types with some very simple product/styling tips. This is the classic style, having been popular on and off for decades – and once again, it really does look to be continuing as on-trend in 2018. 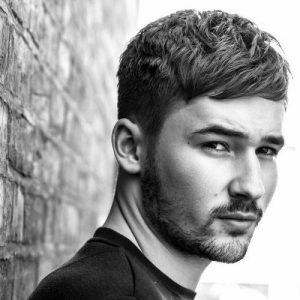 This is a popular cut with our barbers at Upper 38, maybe because it’s sleek sexiness suits most face shapes, it’s fairly conservative (even if you work in a bank, you’re unlikely to upset the boss with this hair), and you can probably get away with only monthly visits for trim ups. But remember, the key with any quiff is THE CUT – if your barber gets the cut right with this baby, the styling time is minimal. Styling tip – If your quiff is on the longer side, a pomade will help to slick it back into place – Uppercut Pomade is a firm favourite here at Upper 38 – it’s not the cheapest on the market, but, despite its lightness, it holds even the thickest of hair in place. We all LOVE this one – especially in this photo where it is teamed up with a scorching fade and that tailored beard (not to mention his perfect eyebrows!). And, although you might be thinking it looks complex, it is relatively straightforward for you to style at home. 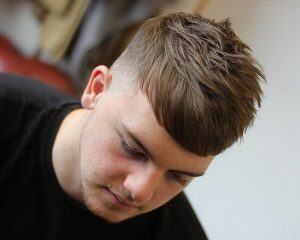 BUT, again, it’s all about precision cutting and texturising at the outset from your scissor maestro. 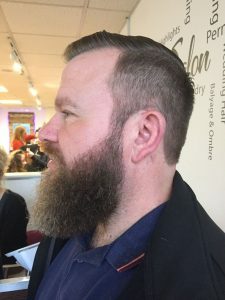 Styling Tip – To get this looking like the “dog’s proverbials”, you’re gonna need the viagra of the barbering world – this is where the appropriately named Box of Bollox comes into its own – again, not cheap (sorry!) but a favourite with our barbers, and customers alike. 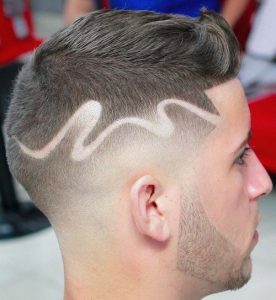 Yes it’s a quiff with a whiff of nostalgia but ain’t nothing old-fashioned about this – this is cutting-edge, head-turning, modern day barbering at its very best. 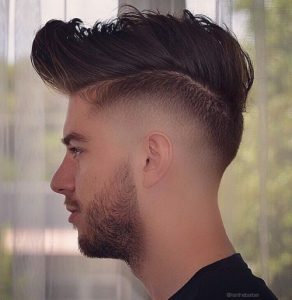 In this picture, you have a long quiff (long at the back as well as the front), with a shaved in line to accentuate the undercut, finished with a tight fade below. Okay, you’re gonna need to get up a little earlier to get your hair up and dressed for the day, AND you’re gonna be going back to your barber on a very regular basis – but it will be worth it. 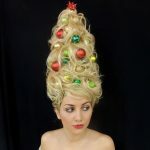 The tricky bit will be finding the barber who can deliver this. 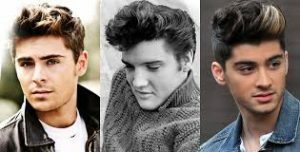 Not forgetting those lucky lads who have curls and waves in their hair – maybe another reason why the quiff is seeing this resurgence. 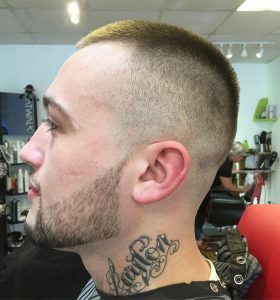 This guy’s cut looks amazing, frames his chiselled features beautifully, and, surprisingly perhaps, due to its designed messiness, is probably a doddle to look after and style at home. 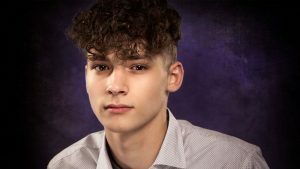 While short haircuts for men may seem limiting, the reality is that guys have plenty of cool cuts and styles to choose from. 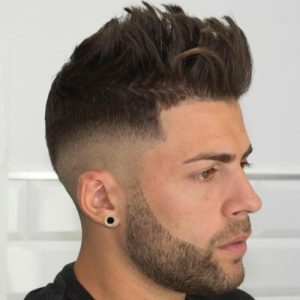 Short men’s hairstyles are always going to be fashionable, and barbers continue to come up with new ways to style short hair. For a modern look, pick a hairstyle that requires your hair to be cut short on the sides and back, with longer length on top. We’ve listed a few firm favourites below. For the chap who can’t be doing with a pompadour or quiff, but still wants to look stylish, we think this twist on the classic military Caesar cut, which was big in 2017 and looks set to continue ad infinitum, is perfect for relatively short hair. 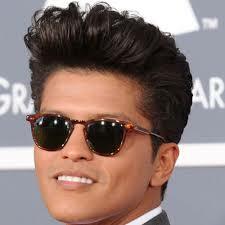 It delivers a refined, modern look, a bit more understated and perhaps less “showy” than the pompadour or quiff. Styling Tips – For shorter hair styles, dust can be the perfect texturiser, keeping the hair defined and non-greasy – our barbers always use and recommend IQ Dust. There is no denying it, there’s a lot going on in this picture but you get the general gist. 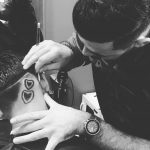 On top, hair is cut and styled into the popular textured short crop with a drop fade creating the perfect canvas for a hair tattoo/art with various depths of fade to give it even more eye-appeal. 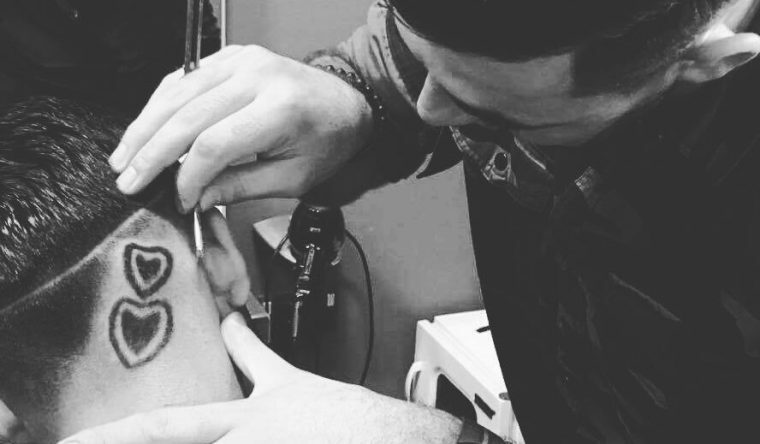 Any creative barber with a razor pen will love this challenge! This is a real get up and go style. 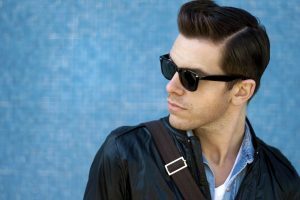 A more mainstream version of this men’s hair trend combines a forward fringe over the forehead, textured spikes at the crown and a high fade around the sides and back. The key to this baby is the amount of texturing. Styling Tips Pretty much fall out of bed, ruffle it up with some dust or fibre, and off you go. Simples! 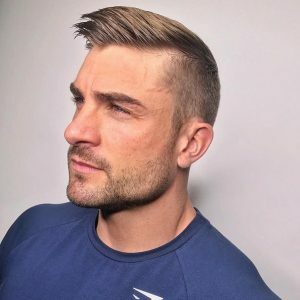 Ryan Terry, fitness icon and men’s physique champion, says he needs hair that works as hard as he does. 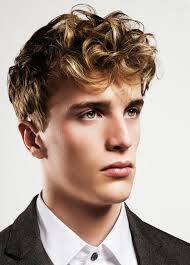 This short cut with a high fade is styled over to one side with plenty of height. It looks great at the gym and classy around town. 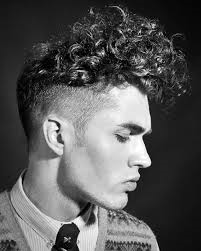 This style can be mixed up by adding a summer skin fade, or even a cheeky parting line to make that style on point. AND NOW FOR THE PRICKLY SUBJECT OF BEARDS! Here’s a few of our lovely bearded clients – well, not Brad Pitt or Jake Gyllenhall, they’re not ours – yet! 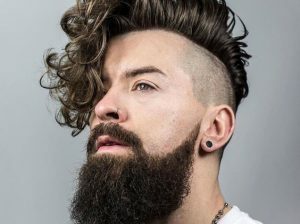 One of the wonderful things about beards (easily one of the most popular trends of recent times, thanks mainly to the Hipster influence) is there is a style to suit everybody! Having said this, the ultimate goal of your beard is, Upper 38 believe, to add contrast and dimension to your face with different beard styles highlighting different facial features. 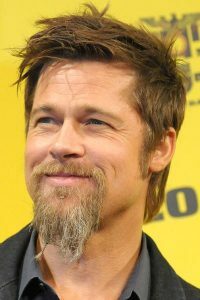 And, whilst there is no doubt that the beard is still going strong throughout 2018, the focus looks set to be on more tightly cropped facial follicles, with less length. Wash and shampoo your beard regularly (you might find a mild shampoo is easier on your skin). Beard hair is much coarser than scalp hair, so we would also recommend conditioning your beard regularly, but ensure to rinse thoroughly to avoid flaking. Gently pat and wipe your beard dry with a towel. In between shampoos, comb your beard and moustache with a wide toothed comb to remove tangles. Some of our gents regularly brush their beards, and many use beard oils and balms. 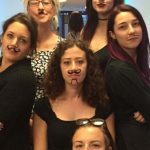 We love Uppercut products, and they do a fantastic beard balm instead of oil – click here for details uppercut beard balm. But, you should experiment with products to find which works best for you. 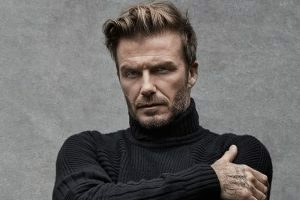 Thanks for taking to read our little blog -as a final word we just want to say that maybe you don’t want to follow trends, maybe you want to stick with your tried and tested hair, maybe you feel your longstanding style defines who you are – many successful gents haven’t changed their style for decades (Rod Stewart, Liam Gallagher, Simon Cowell to name a few). At the end of the day, the main thing is, of course, however you wear your hair, be comfortable with it!